In this post we will learn to use checkboxes in Android Application. 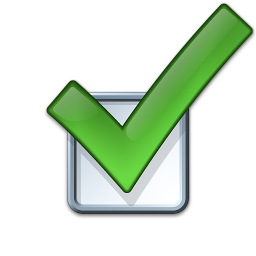 What is a CheckBox ? Checkboxes are the GUI elements which provide facility to select multiple options (from zero to all) from an available list of options. It is very useful while developing any kind of application and Android is not an exception. A CheckBox can have two states i.e, either checked or Unchecked . We can make our logic according to these two states of a checkbox. In general, it can be said that it is not much different from any HTML input(<input type=”checkbox” name=”name1″ value=”value1″ />), ASP.NET checkbox(<asp:CheckBox ID=”CheckBox1″ runat=”server”>) etc. with very few differences. The reader of this post doesn’t need to have a depth knowledge on Android apps development, in fact this is for beginners who have just started developing android apps and want to know the basics. This post may not help you in real-world project development but, is a short demonstration of CheckBox control in Android. If you are a beginner and want to know the whole thing right from the start like installing Android SDK and creating your first application etc then you may check these post..
To demonstrate a very simple example using checkbox, I have dragged a TextView and two CheckBox to my main.xml and did the basic setting-up kind of things like id,text,textColor,background,width,height etc as per my need. Now create a OnClickListener which will later listen to our on-click events on the two checkboxes. Then put a very simple logic in the onClick method to show text of the checked checkbox(s) in the TextView and let reset the text of the TextView if none of these two checkboxes are checked. You can download the full project here. Or, you can just download the apk here. Final words- Just download the project and run it using your emulator and if you have any doubts or suggestions, please place them in the comments. In the next post we will see the same example using radio buttons. In this article we will learn, how to use Button and Listen for Click-Events. We shall take an example to understand all these . To make the example clear and easy to understand we shall use another control called EditText. Create a new android project with name ButtonTutorial. Type you application name as My Button Tutorial. Open main.xml and delete the single TextView already present in the page(may be with a text ‘Hello World, ButtonTutorialActivity!’. Drag a EditText and a Button on to the layout. We don’t want the OnScreenKeyBoard to appear when the cursor is on EditText so, let disable this. We are able to use a Button control in Android and can use its OnClick event to do various activities. Please give your valuable feedback and stay tuned for more .. Writing 'HelloWorld' application in android. Yes, the name ‘HelloWorld’ is chosen because it is one of the most searched word when a fresher starts doing a program with a language/platform which is new to him/her. I didn’t really code a great logic for this application except a very few lines of code- just to show some text(lets say: ‘HelloWorld’) on the screen. As I am going to develop an android application so, I need android SDK and Eclipse to be already installed on my system. For a quick installation guide you may read my post on Installing Android SDK on windows: Complete steps. I have made this post specially to code on Eclipse Indigo as I assume, the readers of this post are freshers in Android apps development. I am going to explain it right from the New Project dialogue box to the message on Emulator Screen and I have Eclipse Indigo installed on my system as well. With a different version of Eclipse the code will be same but, the instruction may vary a little bit. *Go to Window menu and click on AVD Manager, which will open Android Virtual Device Manager in a new window. *A new window will be opened and will ask for Name. *OK, your AVD is now ready to run which you can see in the AVD list on the AVD Manager window. *Now, choose the device you just have created and then click on Start button. 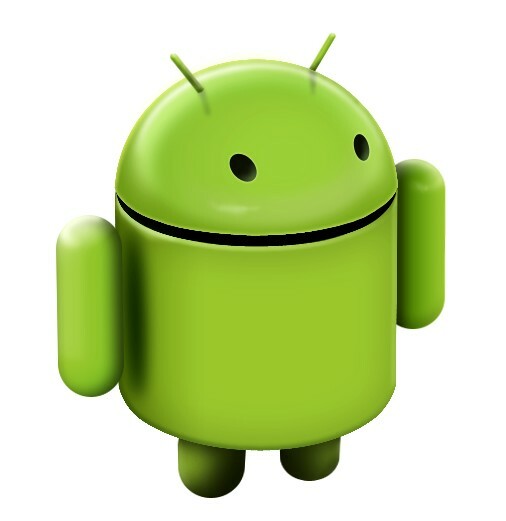 Select Android Project from Android directory/folder. Make sure that Create Activity checkbox is checked. Now the project can be seen, listed on the Navigator. It contains some pre-generated files and folders. Delete the entire contents from it. Now you can see the result on the emulator screen. Here package is the one which you have defined earlier while creating the project. Then like Java, you have to import all the classes you reference. The onCreate() method is invoked when the activity starts. To initiate the activity we have to call super.onCreate(). You need to call super.OnCreate(), every time when overriding the onCreate() method of an Activity. It should be the very first line in the overriding method. Then I have created an instance of TextView, where I am supposed to put some random text or, some message or, “HelloWorld” etc. Here setContentView() sets the TextView, which we have created earlier to the screen so that it can viewed by the user. Then I have assigned some text (i.e,This is a simple HelloWorld android application !”) to the TextView…Yes, I know- I am deviating from the Introduction of the article where I said that it will show ‘HelloWorld’ but, these text doesn’t matters really, what I wanted to show is a custom message or some random text on the emulator screen. That’s all. Now, we are able to create a very simple application in android. I will post some more articles on Android Apps Development in my successive posts.. So, tuned.. In case any query you can comment here. If you want install a .apk file in your emulator then you may read my post here for a easy solution. If you want to install a .apk file on your emulator then you need Android Debug Bridge (adb) which is a command line tool for Android. Extract and copy all 3 files. Start your emulator and wait till home screen has not come. Change directory to have the current directory till tool i,e, the folder where you have pasted the 3 extracted files in the above step. Where E:\AndroidAPKs\MyDemoProject.apk is the apk file I wanted to install with it’s detail folder path. A pop-up will come out just after you finished installing the SDK, which is the SDK manager. If no pop-up window comes then you can manually open it from ‘All Program’. Download all or, required versions and components by checking them. For example, you can only check Android 2.2 and install it. ->Start Eclipse, then select Help > Install New Software…. ->Click Add, in the top-right corner. ->In the Add Repository dialog that appears, enter “ADT Plugin” for the Name and the following URL for the Location. ->Note: If you have trouble acquiring the plugin, try using “http” in the Location URL, instead of “https” (https is preferred for security reasons). ->In the Available Software dialog, select the checkbox next to Developer Tools and click Next. ->In the next window, you’ll see a list of the tools to be downloaded. Click Next. ->Read and accept the license agreements, then click Finish. ->Note: If you get a security warning saying that the authenticity or validity of the software can’t be established, click OK.
->When the installation completes, restart Eclipse. ->After you’ve successfully downloaded the ADT as described above, the next step is to modify your ADT preferences in Eclipse to point to the Android SDK directory:Select Window > Preferences… to open the Preferences panel (Mac OS X: Eclipse > Preferences). ->You may see a dialog asking whether you want to send usage statistics to Google. If so, make your choice and click Proceed. You cannot continue with this procedure until you click Proceed. ->For the SDK Location in the main panel, click Browse… and locate your downloaded SDK directory.